It’s been more than two decades since a beloved group of East Coast rappers iconically confirmed that cash does in fact rule everything around us, but their timelessly epic quip may be truer in today’s money-hungry pool of online scammers than it’s ever been. With cyber criminals focused on the green, companies sometimes in denial about their vulnerabilities, and consumers just beginning to scrape the tip of the realization iceberg, the evolution of online robbery is only just getting started. The harsh reality of today’s e-commerce cesspool is that there truly is no silver bullet. Neither Batman nor Elliot Alderson can save us from the brute-force hackers, the Trojan Horse malware, or the Nigerian princes asking for fund transfers. Instead it’s up to us to lock it down and educate others on the intricacies of online security and protection. Let’s start with the no-longer-elementary password. What was once a burden to remember, passwords quietly keep sites disconnected when one or more gets hacked. Below are the most crucial best practices; the methods that every consumer needs to follow and every company/merchant needs to relay to its consumer/user base. Create site-unique passwords that that use a combination of words, numbers, symbols, and upper and lower-case letters. Don’t store your password list in plain text/sight. *REMEMBER*: every character you add to a password makes it a bit tougher to attack via brute-force methods. 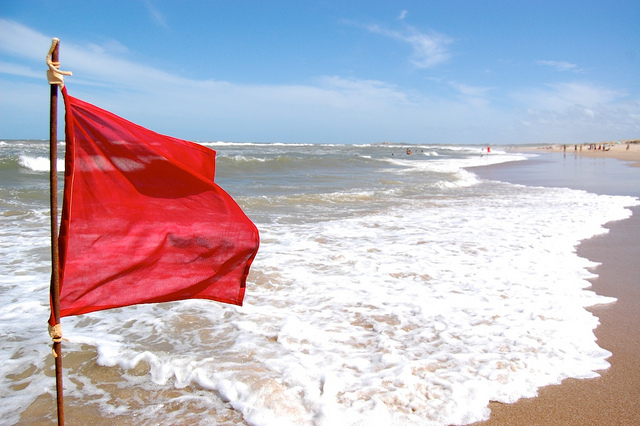 Bad actors by definition are intent on hiding or masking their behavior in order to accomplish their financial goals, which is why isolating and remediating those “flags” that may indicate suspicious or bad behavior is key. However, it’s just as important to understand what your normal consumer looks like so that you can put anomalies into proper perspective. I found a Flag! Now what? Confirmed “Bad Actor.” What’s next? Phishing is an internet scam in which attackers maliciously attempt to trick consumers into releasing sensitive/personal/financial information (or click a link that hacks their device). Techniques involve fraudulent emails and websites that impersonate legitimate institutions. It can be tough for companies and their brands when phishing runs rampant. Here are some quick tips for setting a protected and secure standard.